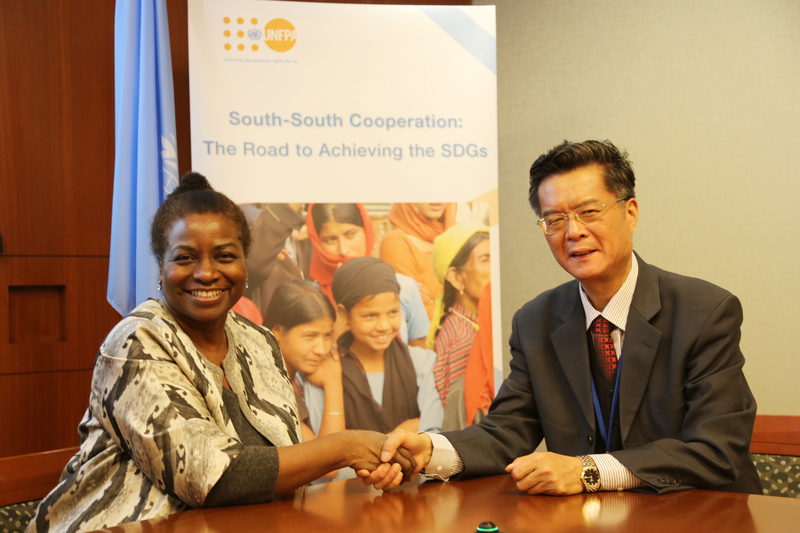 On 11 April 2018, UNFPA Executive Director Dr Natalia Kanem and PPD Acting Executive Director Mr. Hu Hongtao signed the Memorandum of Understanding (MoU) at UNFPA headquarters in New York. The signing ceremony was hosted by Dr. Ramiz Alakbarov, Director of UNFPA Programme Division, and graced and witnessed by the Board Members, Partner Country Coordinators (PCCs) and representatives from PPD Member Countries who were attending 2018 UNCPD (UN Commission on Population and Development) meeting, UNFPA officials and guests from related UN Agencies. Dr. Natalia Kanem said in her remarks at the ceremony that PPD has been playing an important role in contributing advance implementation of the ICPD agenda through South-South Cooperation since the earliest days in Cairo. This MoU between UNFPA and PPD is a significant step towards harnessing the power of South-South Cooperation to realize the ICPD and 2030 SDG agendas. Mr. Hu Hongtao emphasized in his remarks that we are in the golden time period for SSC, and by moving step by step firmly, we can make meaningful difference in promoting SSC for health and wellbeing of the people from developing countries. UNFPA plays a leading role in the United Nations System in promoting and coordinating global population and Reproductive Health / Family Planning programmes for achieving SDGs. 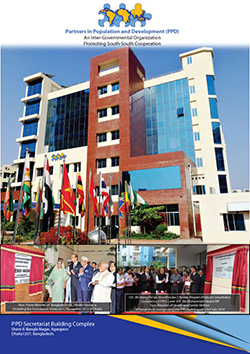 In the past two decades or so, UNFPA has provided PPD with a great support and assistance in promoting SSC. The signing of MOU is a milestone for SSC, and a closer cooperation between PPD and UNFPA is expected to promote SSC in reproductive health, population and development.